Father's Day is just around the corner! 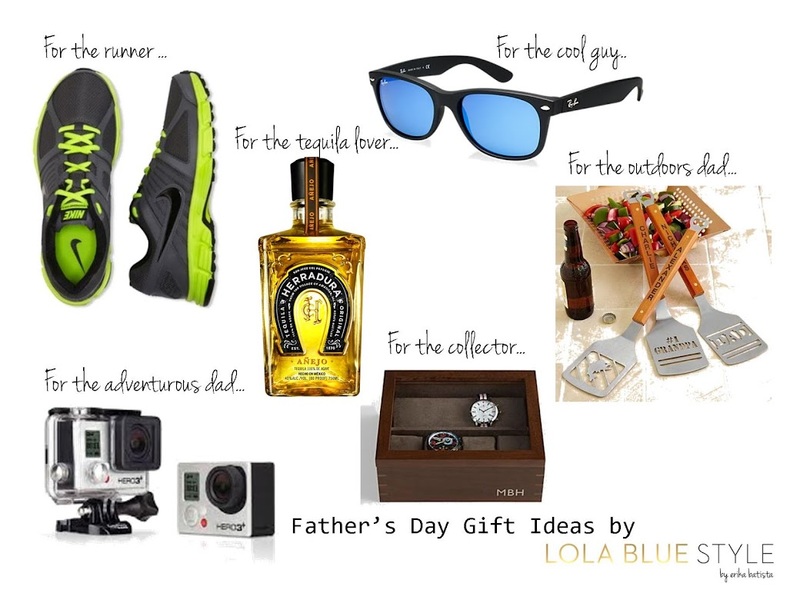 Therefore I wanted to bring you a few ideas on what to gift dad this Sunday June 15th! I already got my hubby his present from us and so excited to be done and hope he loves it. For me, it is always so difficult to decide on what to get for the men in my life. I feel like men are so much more simpler than us women, which in turn it actually turns out complicated, haha. I always try to think of a) what does HE need or b) what would totally surprise him. So I put together a little board of things I think would be fun to get your dads or hubbies this Father's Day. I selected several things for all the different type of men in your lives. I am such a sucker for love, for me the card has to be touching and memorable. So don't forget to pick up a card this weekend and tell your husband or dad how much they mean to you. And here is a little bonus. I wanted to share with you this great recipe to use with the HERRADURA Tequila, be sure to include this in dad's gift box. He sure will love it. Enjoy! See recipe below. • Herradura Añejo - Aged for 25 months, 13 months longer than the industry standard. Its deep copper color hints to its oaky, spicy taste, which is apparent at the sniff of this refined expression and lingers on even after the first sip.